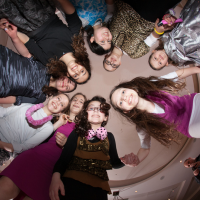 A Picture's Worth a Thousand Words - Hire a Party Photographer in NY! Gazing at pictures evokes strong memories of special events, celebrations and parties. When you book one of these party photographers in NY, they will capture the special moments that you will look back on for years to come. Look through our list of kid’s party photographers to find the perfect one for your kids birthday party. This additional guide also features photographers in New York who specialize in working with kids. Up-to-Date Photography Technology in NY! With plenty of event and wedding photography experience, Victor Chu Photography is sure to capture your kid's birthday party with creative and professional pictures. Unlike most event photographers, Victor Chu Photography captures your story in detail, and not just some still photographs. Proudly carrying the newest in photography technology, this party photographer in NY is sure to produce high quality pictures that look natural and unique. They may be a small company, but they produce big results! Party Recap is sure to impress you by their wonderful party photography and videography in NY. They will cater to any type of event, big or small, and will accommodate to your party needs. You get decide on what style of pictures you want, how the photographs will be formatted, and more. Videography is also offered by Party Recap. 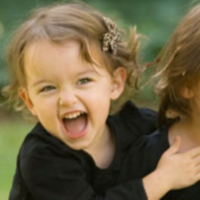 Your kid's party can not only be documented by photographs, but by video as well! 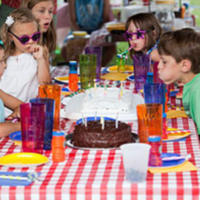 With up to three cinematographers, your kid's party can be accurately shot through Party Recap's digital lenses. They Will Tell a Photographic Story in NY! As a full service photography and video studio, Spelman Studios will provide you with a blend of portraits and candids of your kid's birthday party. This NY party photographer guarantees professional and artist photographs of your special event that you will absolutely adore. Keep the memories of your party alive with Spelman Studios. The party guests will not be asked to constantly pose for the camera; instead, Spelman Studios will capture all the laughs, smiles and fun from the party without being intrusive. State-of-the-Art Digital Technology in NY! 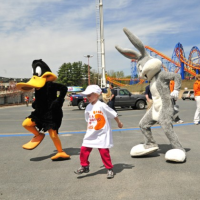 If you're looking for a top-notch NY photographer for your kid's birthday party, then David Gordon is the one for you! He will photograph your kid's party with a keen eye for detai while staying in the background - you won't even know he's there! With plenty of experience in photographing all types of events, David Gordon is guaranteed to produce amazing party pictures. Using his state-of-the-arty digital Nikon shooter, David Gordon will capture high quality picutres, and get them to you fast. You will even have the option of online proofing and high-resolution discs. See the Laughs, Smiles & Tears in NY! As a warm, intelligent and sensitive party photographer in NY, Teri Bloom Photography will work with you to make sure that they capture all the special moments, without getting in the way. Teri Bloom Photography ensures to produce beautiful pictures of the event that will show all the laughs, smiles and happy tears in a blend of portraits and candids. Your kid's party is sure to be well-documented in a natural and artistic way. Teri Bloom Photography will not leave anything or anyone out of the shots - looking at the pictures afterwards will feel like you're there! They Do Photo Booths & Event Design Too in NY! 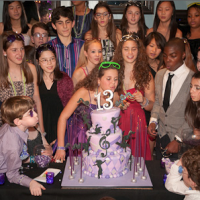 A leading party photographer in NY, MG Photography will capture your kid's party in a creative and professional manner, using photojournalism and traditional event photography methods. Not only will you receive beautiful photos, but you will receive lasting memories of your kid's special day. More than just an event photographer, MG Photography also offers photo booth services for your event, as well as event design. You can get everything you need for your kid's party here! A Photographer Just for Kids in NY! The lucky birthday child will get the "red carpet" treatment with Teeny Pixel! Since they're a photography company that specifically does kid's parties and events, they know just what it takes to capture your kid's birthday party perfectly. You will be able to sit back and enjoy the party - Teeny Pixel will do all the work. With photo and video options, Teeny Pixel has three different party packages to choose from. The packages include high-resolution photos, HD video services, and more - all at a price you can afford! Pictures with Personality in NY! 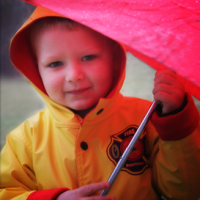 Not only a star photographer but a funny and charming individual, Joan Heffler Photography has what it takes to make the children feel at ease while she takes pictures for your kid's birthday party. Serving the Upstate New York area, Joan Heffler Photography ensures to deliver pictures with personality and a story behind them. With tailor-fitted packages to fit your party size and venue, Joan Heffler Photography will work with you every step of the way to make sure your party pictures come out exactly how you want them to.